Configure, Price, Quote software is a sales tool designed to allow companies to create accurate and configured quotes for their products across a large and constantly changing spectrum of variables. By centralizing and managing pricing across all your company’s products, CPQ software streamlines workflow and makes quoting quick, precise and consistent across your sales team. What is the history of CPQ software? The 1980’s was a huge decade for technology. Personal computers, CD’s, video game consoles and CPQ software all made their debut during the 80’s. In its infancy, CPQ software, known then as the “configurator,” helped sales reps manage how customers chose their specifications. As the 90’s rolled in and sales force automation took over the industry, CPQ entered the front office. Through the 2000’s it evolved to play a key role in eCommerce. CPQ software really hit its stride in the 2010’s as technology innovations allowed for streamlined service. Businesses could utilize CPQ software as a highly detailed quote generator. How has CPQ software evolved? The CPQ tool was initially a way to provide error-free quotes quickly, but soon evolved to a technology that can bring products to life visually in 2- and 3-dimensions. Today’s 3D and 2D visual product configurators empower sales teams to interact with a digital catalog and then design custom products, on their own. The software’s built-in intelligence ensures all items are compatible, preventing costly redesign and reordering. Virtual Reality Product Configuration is emerging technology that enhances the customer ordering and configuration experience. 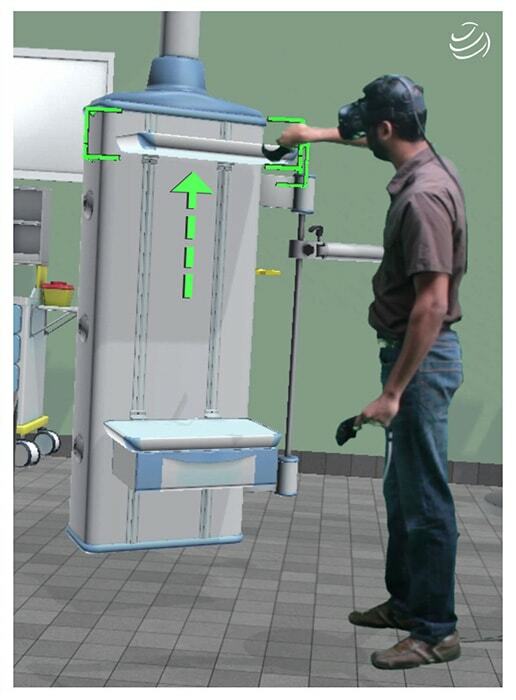 Consumers use a 3D Configurator to design a product on the web and then experience the designed product wearing a HTC Vive headset. What are the benefits of CPQ software for businesses? When is CPQ software a good fit? CPQ software is a tremendous resource and sales ally to a number of industries. Below are some of the companies that can benefit from CPQ software. Companies that is having trouble managing thousands of products and SKUs due to discontinued items or discounts. A sales teams that feels it does not have the updated information it needs to provide proper sales quotes (including for bundles or upsells). Companies whose customer expectations demand speed and efficiency. Companies that are operating on a global scale and need help managing pricing discrepancies and cutting back on sales quotes that lose the company money. As technology continues to innovate, so too will the applications of CPQ software. Looking to learn more about CPQ? Check out our CPQ crash course page for a detailed list of CPQ benefits.